Lloyd completed a Masters in Information Systems at the London School of Economics and Political Science (LSE). His early career was in Project Planning for Telco and Utility companies before moving onto defining and establishing the Programme Office functions across various corporations including implementing end to end project methodologies and control processes. Lloyd then progressed into Project and Programme Management and was responsible for full programme life cycle management of Roath Lock Studios (value c. £90m) which was held up by the BBC as its best in breed project when it was delivered on time, under budget and with increased benefits. He was also responsible for creation and facilitation of the Business Case to undertake feasibility of new BBC Wales Broadcasting House. 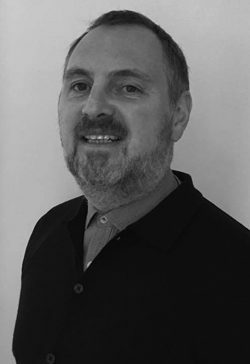 Lloyd is now the CEO and Founder of Greyfly and is also a mentor at the NatWest Entrepreneurial Spark and is the curator and host of the BCS Chartered Institute of IT (Bristol branch) series of Technology talks.